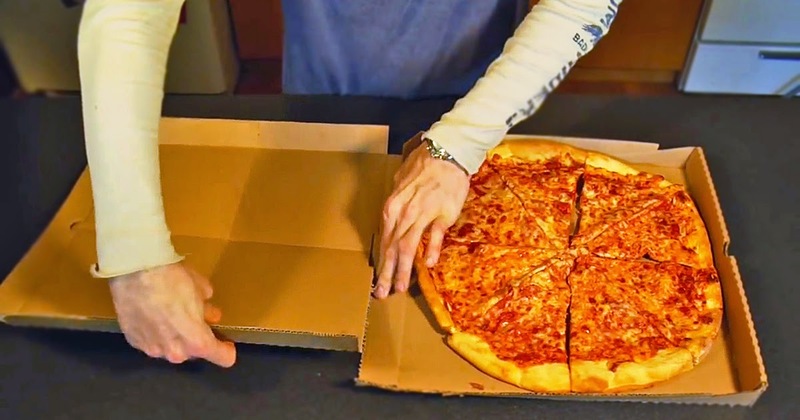 Do you love pizza but hate dealing with the large, empty box when you’re done with it? Luckily, ECO Inc. designed this neat innovative “Green Box”. Aside from all the design aspects listed in the video, the recycling-friendly box is also manufactured at no extra cost over a regular pizza box – and can help make the world better, too. At least 3 billion pizzas are sold each year in the United States alone; over 1 billion of those are delivered. That’s over half of the world’s pizza consumption. If pizzerias in the US used this box, think of the impact on the environment. On their website, ECO Inc. lists a reduced carbon footprint and trash in landfills as some of the environmentally-friendly benefits to their product.